Jada Pinkett Smith Finally Opens Up About Her And Will’s Rumored “Open” Marriage - POP GOES THE WEEK!! Will and Jada Pinkett Smith seem to have it all figured out. But is the key to all those perfections the fact that they might be sleeping with other people? Will and Jada Pinkett Smith seem to have it all figured out. They are both successful actors and producers, have four wonderful children, are respected by the world, and have the perfect Hollywood relationship. But is the key to all those perfections the fact that they might be sleeping with other people? After years of speculation that the two might have an open marriage, Jada Pinkett Smith finally (somewhat) addressed the rumors that have hung over the couple’s head for along time. 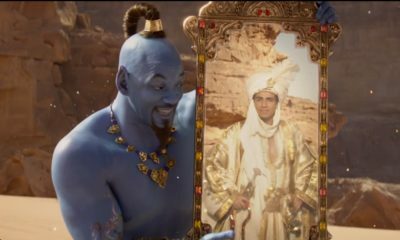 SNEAK PEEK: First Trailer For Disney’s Live-Action ‘Aladdin’ Is Here! UPDATED REPORT: Does Jaden Smith Want To Be Emancipated From His Parents?